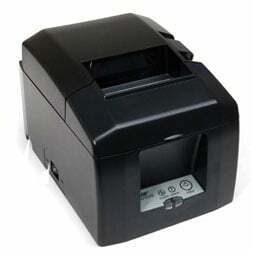 Star TSP650 Series: TSP650ii - MICRONICS, TSP654IIC-24 GRY US, THERMAL PRINTER, CUTTER, PARALLEL, GRAY, POWER SUPPLY INCLUDED. iOS users will use the same familiar Airprint experience with their POS system. The printer will work seamlessly with all Apple devices enabling quick setup and simple, high quality receipt printing. This way receipt printing requires no extra configurations, software or additional drivers. The Star 39449470 is also known as Star Micronics	STA-39449470	.